Acuma deliver high quality, accredited training services which enable our customers to translate course theory into practical business benefits in the workplace quickly and effectively. We specialise in Business Intelligence training covering all major vendor solutions including SAP BusinessObjects, Jaspersoft and Data Warehousing. We have utilised our 25+ years experience to develop our own courses to provide added value to our clients. Acuma provide a wide range of courses to meet the information needs of your business. We understand the vital role training plays to facilitate effective development and use of systems. It empowers your staff and unlocks the full potential of your system investment. Courses are available both on our public schedule or as private courses held at your own choice of venue. Our extensive experience gives us the ability to tailor course content to meet your specific needs or create bespoke courses that precisely match your own use of systems. We provide consultancy-led training from our consultant trainers who blend professional skills with knowledge gained through delivery in the workplace. Our training courses combine course theory with hands-on experience to ensure practical skills support the theory. Our training courses combine theory with hands-on experience to ensure practical skills are developed and knowledge retained. All courses are delivered by Acuma’s experienced consultant trainers who blend professional training skills with knowledge gained through delivery in the workplace. We call this ‘Consultancy-led training’. Acuma’s quality training supports and reflects our overall Information Management philosophy which integrates several technologies into one model. The Acuma model is expressed as the “Information Value Model” (IVM). Through IVM, we facilitate in the delivery of the right information, of the right quality, to the right people at the right time & place – for all our customers. The quality of Acuma’s training services has been recognised and accredited by the Learning and Performance Institute for over 17 years now – since 2000. We have been awarded Gold Standard, the highest level of achievement for IT training organisations for the 13th year running. The Institute’s Accreditation is recognised as the de facto standard in the Learning and Development industry today and is a requirement for many training tenders in Government and global corporations. TAP promotes consistent Learning and Development standards, adoption of an effective learning transfer system and skills development of all involved in the learning process. To trainers, TAP has always stood for the Trainer Assessment Programme. However, on a wider perspective, TAP is founded on the basic concept that all training should meet best-practice, accredited, standards. Acuma offer an increasingly wide range of courses to meet the information needs of your business. We deliver public schedule courses at our offices, private customer courses on-site or at convenient locations around the country. Courses cover BusinessObjects, Crystal, Data Quality, Data Warehousing, SQL and WebIntelligence. We also conduct systems and training audits. Please visit one or more of the categories in the Course Schedule (below) to see dates, locations and summaries of Acuma’s various training offerings. The blended learning philosophy addresses the fact that people learn in different ways – some appreciate being closely supported by an instructor in the classroom, while others prefer to work more independently and at their own pace. The availability of online media makes it possible to increase the available options in order to support this range of preferences. In addition to traditional classrooms, training can work over long distances using virtual classrooms; recordings of short sessions can aid self-paced learning and resources like frequently-asked questions or blogs can be made available over the Internet. There are strong advantages in the blended approach for both individual learners and their organisations. Learners don’t have to concentrate solely on a single one of the options listed above – instead, they can sign up for a ‘blend’ of modules that might combine a single trip to a traditional classroom with subsequent online sessions, whether ‘live’ or ‘self-paced’. In addition, the use of online approaches to training has obvious financial benefits in that the costs of travel, accommodation and venues are almost entirely eliminated. The blended learning approach typically offers learning in short (perhaps no more than 2 hour) self-contained modules. This approach has various advantages – it fits in well with the virtual classroom and e-learning media, impacts less on normal duties than whole days of training and doesn’t risk ‘information overload’ for trainees. To select an appropriate Training delivery mechanism for any programme, various factors need to be considered such as the training objectives and needs, the number and variety of learners involved, timescales, budgets, and delivery logistics. In many cases, sending staff on to public schedule courses can be seen as the most cost-effective solution. However, there are many other training delivery mechanisms that can also be highly effective in your organisation, and may bring better return on your training investment. The ultimate aim of most training programmes is to achieve business benefits from a change in behaviour in the workplace resulting from the skills and knowledge gained. This means the learners have to put course theory into working practice. The sooner each learner starts to apply course theory to their own environment, firstly through conscious thought processes in a design or planning mode, and then through actual practice, the more thoroughly the learning is retained, and the earlier the business benefit is achieved. Ideally this starts during the training programme itself, and is possible with customised and tailored training solutions. Acuma can help you define the most appropriate and cost-effective solution to meet your specific training needs. Here is a summary of the main pros and cons of each of the main delivery mechanisms. What’s in it for me: Which delivery mechanism? Please find below a list of Acuma’s various delivery options. to attend the same standard course. No opportunity to put course theory into practice in the realistic working environment. Some course topics may not be relevant. Consistency of standard course delivery. No set up costs (if using Acuma kit). Course contents as per standard course, but delivered privately on a realistic working environment. Very high course development and set up costs. All course topics will be relevant. theory taught using generic environment, workshop practice on a realistic working environment. environment during the course, for earlier business benefits. Limited course development and set up costs to combine the selected course modules, and to customise the workshop exercises for those modules. Post-training support through a joint workshop, and/or one-to-one support at the desk, aimed at introducing the actual working environment and answering learners questions. Allows consolidation of learning through proactive follow-up support. Encourages sharing of best practice. Helps learners to put course theory into practice in the actual workplace, for earlier business benefits. Training needs for the first two reasons are quite often met through public schedule training, as they are individually based and there is less cost-justification for a private course delivery, however the latter two circumstances will benefit from a planned approach. The Systems and Training Audit is designed to identify such gaps and help develop a plan to address these in a structured and cost-effective manner through a training and skills development report that understands and recognises the training requirements for each individual user. Furthermore, where appropriate, recommendations for overall systems improvement will be made to help identify ways to enhance the supporting infrastructure, for example in the design of a BusinessObjects universe. The benefit of investment in the audit process will be the design of a training solution that more closely matches the needs of the various groups of users than standard public schedule courses. It is also likely to be more cost-effective, and to match more closely to the timescale requirements. Ultimately this leads to reduced risk for a project and more effective use of BI systems. Acuma designed, developed and co-delivered a training programme to enable more than 250 staff across the country to perform risk profiling using WebIntelligence® from BusinessObjects®. The training focussed on the business process as well as technology. It included a number of realistic business scenarios to help delegates understand how to put their course learning into practice. All delegates initially attended a basic introductory course, 100+ delegates progressed on to attend more advanced courses. Through a train-the-trainer process we have assisted their trainers in gaining confidence for delivering both basic and advanced courses. Feedback indicated the business has benefited from much improved profiling. Acuma designed, developed and delivered a training programme to enable staff to report on project management information using BusinessObjects®. The standard 2-day training course was adapted to use the project data from the live system to focus on the most appropriate modules of learning. A specific session focussed on the information available and how best to use it in practice. Through hosting course information on a central server, the course was delivered across five locations in two countries. Since the initial delivery, the course has been repeatedly delivered. A major Bank had a number of business analysts requiring training in the use of BusinessObjects, in order to create reports for other users, some of whom would view them using WebIntelligence. The background of the analysts including some prior experience with BusinessObjects and other analytical tools suggested they would prefer a faster pace than is usual for end user Training, and that they would have some advanced questions such as about the overall architecture of the toolset. The analysts came from different business departments so they had a variety of data requirements. A tailored delivery was chosen to match the needs of the analysts, a three-day private training event encompassing a selection of course modules chosen from the end-user courses in BusinessObjects and WebIntelligence. As the analysts were expected to learn quickly, more modules were selected than is usual for the three days, with those modules from the advanced Report Creation workshop being prioritised so the course instructor could include the most important ones if time allowed. Due to there being no common data requirements, a standard generic training database was used, but the analysts were encouraged to think about how to apply the course theory to their own areas, and the delivery style was flexible to allow time for interaction and to answer the large number of questions arising. A major Finance organisation was implementing BusinessObjects as part of a planned project development and roll-out, and 30 end users required training in use of the tool, use of predefined reports and the working environment, and use of the local universe for creating ad hoc reports. The project timescales meant that training in the tool was needed for two distinct phases of the project, one of which was before the universe design had been completed. A standard delivery was chosen due to the timescale issues and the lack of availability of the final universe. A two-day private training event was delivered encompassing the standard two-days of end-user courses in BusinessObjects. This was repeated three times for 10 users at a time. This enabled the users to gain skills necessary to support the earlier phase of the project. When the universe was near to being completed, an Acuma Training consultant worked closely with the organisation to provide advice on the universe design, and to develop a further skills transfer workshop day to enable each set of users to gain familiarity with the universe and working environment. This was entitled “Hitch-Hikers Guide to the Universe”. A major Insurance Society had a number of marketing analysts who wanted to use BusinessObjects for complex ad hoc queries to identify target groups for marketing campaigns. All but two had previously attended two days of standard BusinessObjects end user training, approximately a year ago, and had been using the tool intermittently since. The other two had seen the tool and used similar tools before. Training was necessary to enable this group of analysts to make best use of the tool to set up their campaigns. A tailored integrated delivery was chosen, to match the needs of the analysts, with a one -day private training event encompassing a selection of course modules chosen from the end-user courses in BusinessObjects. Some topics chosen were refresher training for the majority, and aimed at bringing the two new users up to speed. Most topics chosen were based around querying, including complex queries from the Advanced Report creation course. The training was customised to include workshop exercises on the company’s own marketing universe, using a cut down version of their database ported to the training machines. This enabled all analysts to practice creating more complex queries during the workshops, and ensured each trainee gained benefits experimenting with the data even where their past experience with the tool meant they completed the exercise more quickly than some others. 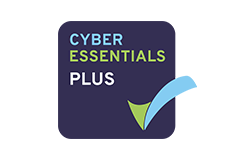 We have partnered with Coursecheck which helps people find highly rated training courses; and it does this by providing companies that offer great training courses a place to publish all their feedback. Our current rating is.